Samsung's TouchWiz UI has often been criticized for various reasons, but this doesn't mean that there aren't smartphone users who actually like its design. In case you're one of these users, and your current Android handset is not manufactured by Samsung, you can easily make your device look like it's got TouchWiz on top of Android. The quickest and (arguably) best way to TouchWizify your smartphone is to download and install a launcher called S Launcher, which is available on Google Play. Once installed, S Launcher should automatically become your new launcher. If that doesn't happen, you can make it the default launcher from Settings -> Home (you can also choose another launcher from here, or delete S Launcher if you don't like it and you think you won't be using it again). While S Launcher is highly customizable, it will not completely change the UI of your device (for example, it won't change your Phone book, the main Settings menu, and any other sub-menus). It will, however, change the aspect of your app drawer. Besides S Launcher, there are other TouchWiz-like launchers, as well as similar themes made for specific launchers (like Nova and Apex) that you can download at any time. You'll find them all just by searching for "TouchWiz theme" or "TouchWiz launcher" on Google Play. P.S. : The basic version of S Launcher is free, but you can also get a premium version with extra features, though you'll have to pay $3.99 for that. ... and now our phone looks like it's got TouchWiz on top of Android (although, as you can see, the Lollipop software keys are still visible. This is a normal home screen on Android 5.0 Lollipop. S Launcher lets you edit icons and folders, or customize the experience with gestures (not available in the free version). Normal app drawer (left) versus S Launcher's app drawer (right). Really? The tittle of this article should be "How to make bring lag to a non-Samsung android phone" Seriously PA just stop! TouchWiz lag shouldn't carry over. The fuglieness, however, does. Well, not all of it, I must grant. The confusing, confusticating, convoluted, cunctmuchingcocksucking bullS@#$% that is the TouchWiz settings menu at the least won't be present. Those ugly icons are the only reason why im still thinking about buying the S6 Edge. You are aware, of course, that icons can be modified/replaced with icon packs, right? Choose what you want. That wasn't my point though. The horrible settings menu that recent Samsung devices have, however, is. It's an atrocious mess. Trying to find the right setting in the logical menu is an impossibility that rages me to the point of wanting to drown puppies and strangle kittens. It is the opposite of intuitive. It is, in the purest sense of the meaning, complete crap. Is it? Come on, you can always change the launcher? Don't make an excuse if you can't afford the unit. Are kidding? Jeter is a millionaire, he can buy whatever he wants. It's just a launcher, man. Lag on a launcher? 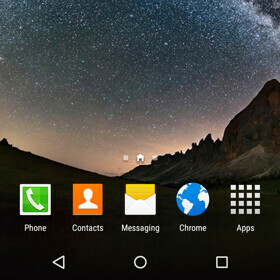 The best launcher for me is Nova Launcher Prime, I used on my Nexus 5, is fast, simply, has lot of features. Try moonshine icon pack on it. Why would we install a TouchWiz UI on top of our phone when people are trying to get away with it or install AOSP(CyanogenMod etc.....) on the Samsung phone? I love TouchWiz. It's one of the reasons why I don't switch brands. Call it cluttered, bloated, ugly all you want, at least it's getting a lot richer and better. Some reviewers are saying the TouchWiz on the Galaxy S6 is the fastest UI they have seen on an Android phone. What do you say? TouchWiz is cluttered, bloated and ugly. In related news, Adam Sandler and Will Ferrel are NOT funny, any film that Michael Bay is involved with is a guaranteed turd, Metallica has sucked for a decade or two, Pringles are nasty as $#@%, and Windwos 8/8.1 is far superior to 7. 1. TouchWiz is awesome. It's feature packed to the brim and I love to kill your vibe by saying it ain't going nowhere. 2. I'll give you Sandler, but Ferrel? What are your comic standards? I'd love to hear them. 3. Michael Bay doesn't get the credit he deserves. Yes he makes some clunkers, but sometimes it's about how the film makes you feel as opposed to the cgi, actors, and the script. 4. Don't listen to Metallica so I don't know. 5. Pringles are delicious. Sour cream, and the pizza flavor. Forget about it. 6. Definitely not far superior to 7. 7 was awesome cause it just worked. 8 has too much of this app sh*t going on. There was NO learning curve with 7. I upgraded somebodies computer to 8 from 7 and they thought I messed their computer up lol. I know your a troll but I'm bored. You're* I'm not going to waste my time arguing opinions with someone who failed 3rd grade English class. who the f**k would do that ?!!!!! Cyanogenmod PWNS TW theme engine any day. You can customize the Z3, including some crazy themes. However, I use Nova Launcher Prime on all my phones so I never use the feature. I just tried out a Hobbit theme once and felt really weird. On another note, I have no problem with TW except for how slow it is, but the new one supposedly fixes this. And actually I found the Sony launcher even slower. Wtf? Why would someone want ugliness? Not like touchwiz launcher got more functionality than nova or something. Lol customers left samsung to get away from Touchwiz. Just looking at a Touchwiz homescreen stresses me out! TouchWiz is about the features so yeah I won't be defending the looks. As a matter of fact, The S6 may just be the best phone ever if you slap a completely black theme on it. You'd have the best of both worlds.